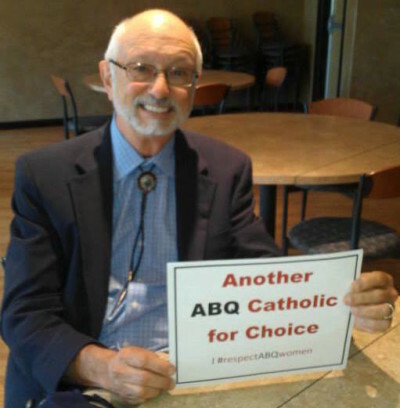 Albuquerque, NM- Protest ABQ launched the second round of their postcard campaign today exposing religious pro-abortion Catholic Democrats. This batch of postcards have been mailed into the districts of New Mexico State Senators Jerry Ortiz y Pino and Jacob Candelaria. Round 1 focused on Catholic Senators Michael Sanchez, Bill O’ Neill and United Methodist Christian Senator Daniel Ivey-Soto. These postcards were mailed just before New Mexico’s primary election day on June 7. Senators Ortiz y Pino and Candelaria have consistently opposed ALL pro-life legislation introduced into the Senate Public Affairs committee that Pino chairs. During the 2015 legislative session Senators Jerry Ortiz y Pino, Jacob Candelaria, Bill O’ Neil, and Daniel Ivey-Soto voted to kill SB 437, Physician Admitting Privileges for Abortions introduced by Sen. Craig Brandt (R). Protest ABQ was the sponsor of this bill that would have prevented abortion providers in New Mexico from ditching their patients on local emergency rooms where other physicians are left in the dark about the woman’s condition after an abortion related injury. During the committee hearing for SB 437 Sen. Pino, cut off the testimony of expert witness Tara Shaver, Senior Policy Advisor of Protest ABQ when she attempted to introduce 911 calls made from Albuquerque abortion facilities. Sen. Pino objected and threw a “tantrum,” claiming that the 911 calls were “too emotional” even though the calls documented facts including severe injuries sustained by women from Albuquerque abortion clinics. “Senators Jerry Ortiz y Pino and Jacob Candelaria Defy Their Catholic Faith By Supporting Murder” reads the postcards mailed throughout these Senators districts. The U.S. Supreme Court’s decision, issued yesterday, June 27, 2016, in Whole Woman’s Health v. Hellerstedt, while disappointing is not as sweeping as the media and pro-abortion advocates would have you believe. Significantly, the decision appears to apply only to the regulation of “pre-viability” abortions. As the age of viability continues to move closer to conception, the legal framework put in place by Roe v. Wade and its progeny is still on a collision course with itself. The District Court held that both of these requirements “imposed” an “undue burden” on the right of women in Texas to seek “previability” abortions. The Court of Appeals for the Fifth Circuit reversed the District Court and ruled that H.B. 2 was constitutional under current Supreme Court rulings regarding the regulation of abortions and abortion facilities. The Supreme Court, by a vote of 5-3, reversed the Fifth Circuit and held that H.B. 2 is unconstitutional. As always, however, the devil is in the details. In reaching its conclusion, the Supreme Court relied on Planned Parenthood of Southeastern Pa. v. Casey, 505 U.S. 833, 878 (1992) which held that an undue burden exists on “a woman’s right to decide to have an abortion, and consequently a provision of law is constitutionally invalid “if the ‘purpose or effect’ of the provision ‘is to place a substantial obstacle in the path of a woman seeking an abortion before the fetus attains viability . . . . Casey added that ‘[u]nnecessary health regulations that have the purpose or effect of presenting a substantial obstacle to a woman seeking an abortion impose an undue burden on the right.’” (Emphasis added). As part of its decision in Hellerstedt the Supreme Court noted that there were no “legislative findings” attached to H.B. 2. The Court felt that this was a significant weakness. “[T]he relevant statute here does not set forth any legislative findings. Rather, one is left to infer that the legislature sought to further a constitutionally acceptable objective (namely, protecting women’s health).” The Supreme Court further noted that in the absence of legislative findings, the District Court may give significant weight to the evidence, without usurping the function of the legislature. A. Prior to H.B. 2, there were 40 licensed abortion facilities in Texas. That number dropped by almost half after the admitting privileges requirement went into effect. B. If the surgical-center requirement were to go into effect, then only 7 or 8 facilities would exist in Texas. Over 1,200 women per month could be seeking appointments at each remaining facility. D. Abortion as regulated by the State before H.B. 2 was passed has been shown to be much safer in terms of minor and serious complications, than many common medical procedures not subject to the regulations, such as colonoscopies, vasectomies, endometrial biopsy, and plastic surgery. E. Risks are not appreciably lowered for patients who undergo abortions at ambulatory surgical centers as compared to non-surgical center facilities. F. Women will not obtain better care or experience, or more frequent positive outcomes at an ambulatory surgical center as compared to a previously licensed abortion facility. G. The cost of coming into compliance with the surgical-center requirement for existing clinics is approaching $1 million and most likely will exceed $1.5 million with some clinics unable to comply due to physical size limitations of their current sites. The cost of acquiring land and constructing a new compliant clinic will likely exceed $3 million. Based on this evidence, the District Court concluded that H.B. 2 did not offer sufficient medical benefits to women to justify the additional restrictions on abortion providers or abortion facilities. The Supreme Court agreed. “We conclude that neither of these provisions offers medical benefits sufficient to justify the burdens upon access that each imposes. Each places a substantial obstacle in the path of women seeking a previability abortion, each constitutes an undue burden on abortion access … and each violates the Federal Constitution.” (Emphasis added). As it turns out, there are some implications of the Hellerstedt decision for New Mexico. Most significantly, the Hellerstedt decision strongly implies that requiring ambulatory surgical center licensing and physician admitting privilege of third trimester abortions is Constitutional. Protest ABQ currently has a complaint on file with the New Mexico Department of Health asking the Department to investigate why the late-term abortion mill in Albuquerque, Southwestern Womens Options, does not have either medical clinic or ambulatory surgical center licensing. Fortunately, the Hellerstedt decision has done nothing to affect that Complaint. Medical and clinical services standards, including anesthesia standards. These requirements were policed by both random and announced inspections at least annually, as well as providing administrative penalties, injunctions, and civil and criminal penalties. Many of these requirements are not currently part of New Mexico law. Indeed, abortion facilities in this State operate in a virtually regulatory-free environment, to the detriment of women’s health. 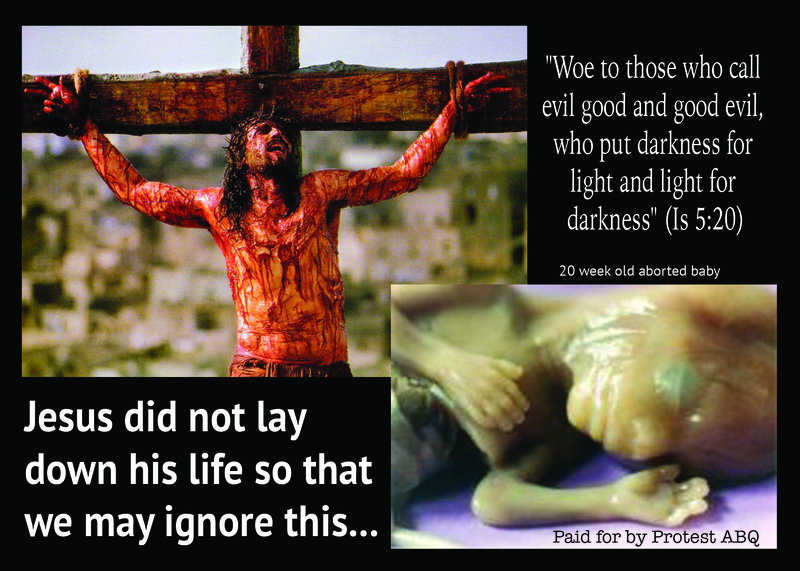 There may be fertile ground here, therefore, for pro-life advocates to propose similar pre-H.B. 2 regulations here in New Mexico to hold abortion providers and abortion facilities more accountable for their unseemly trade. July 14, 2015 – The Center for Medical Progress released the first of a series of groundbreaking undercover video exposing the illegal trafficking of human body parts. 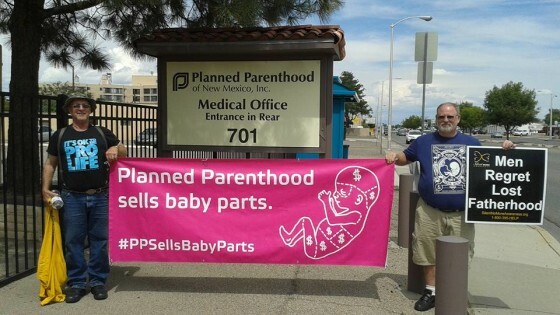 July 15, 2015 – Protest ABQ issued a press release calling on New Mexico Governor Susana Martinez and NM Attorney General Hector Balderas to launch an investigation into SWO and UNM based on two consent forms obtained by Protest ABQ revealing the practice of baby body part harvesting in New Mexico. 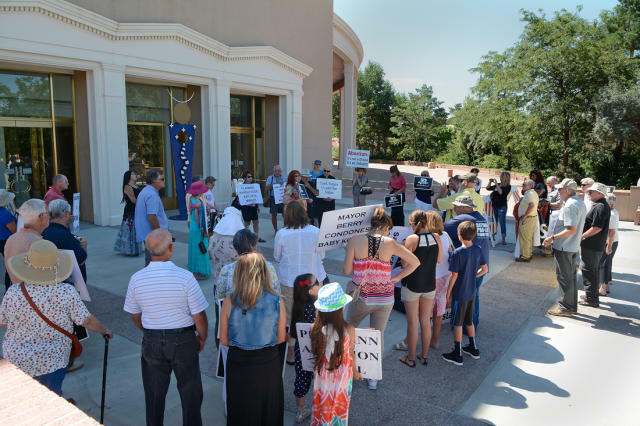 July 17, 2015 – Protest ABQ holds protest and press conference calling for an investigation by the NM Attorney General’s office and also urged Governor Susana Martinez to encourage such an investigation. July 28, 2015 – Protest ABQ announced that a formal criminal complaint had been filed with NM Attorney General, Hector Balderas at the #WomenBetrayed Rally hosted by Protest ABQ (sponsored nationally by Students for Life of America) in Santa Fe, New Mexico. 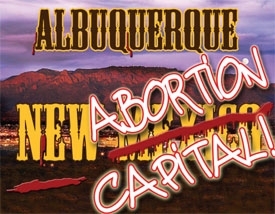 More here: Anti-abortion groups want probe of fetal tissue disposition in N.M.
August 20, 2015 – Protest ABQ hosts #ProtestPP the largest protest of Planned Parenthood in New Mexico (over 600) and across the country (over 77,000). During the press conference Tara Shaver, Spokesperson for Protest ABQ spoke to the fact that, 5 state governors have de-funded Planned Parenthood and 13 states have launched criminal investigations into Planned Parenthood’s baby body part for profit scheme. All the while New Mexico fully funds abortion through state Medicaid with our tax dollars and abortion facilities are telling patients that their babies remains may be used in medical research which violates New Mexico law. 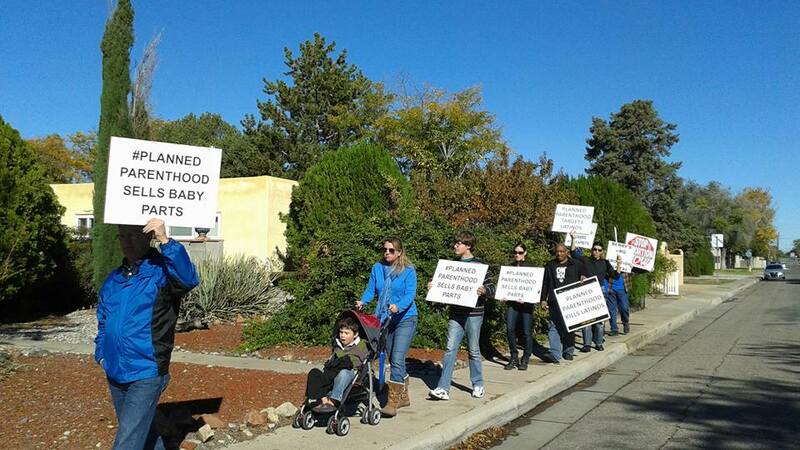 October, 2015 – In October Protest ABQ decided to take our Protest presence to the next level in Albuquerque, New Mexico, the Late-Term Abortion Capital of America by holding a weekly protest at Planned Parenthood each Saturday morning. In addition, in October we stepped up our Protest presence during our weekly #ProtestPP by stepping off of the sidewalk in front of Planned Parenthood and into the neighborhood surrounding Planned Parenthood. 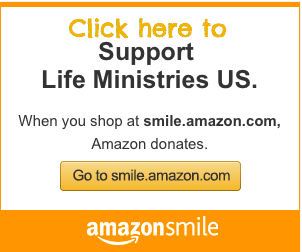 January 26, 2016 – Protest ABQ under the umbrella ministry banner, Life Ministries U.S. presented 5 years of investigative research to legislators in Santa Fe New Mexico. February 11, 2016 – U.S. House Select Committee announces subpoenas issued to UNM and SWO. 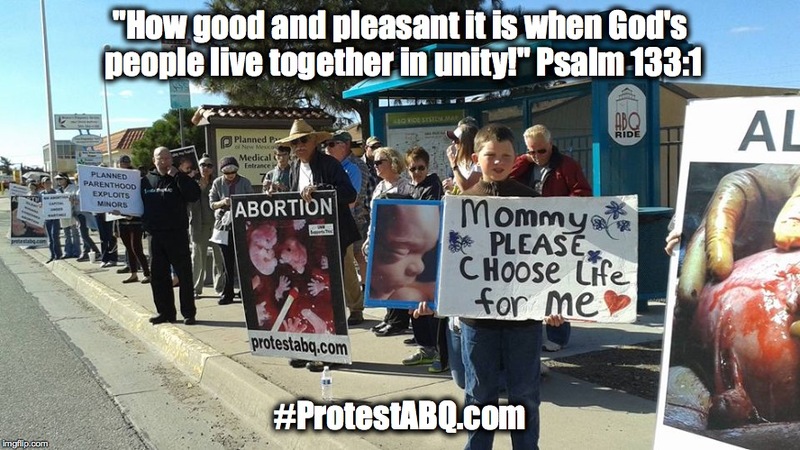 April 23, 2016 – National Protest Continue: Protest ABQ hosts #ProtestPP in Albuquerque in conjunction with other National Organizations across the country. 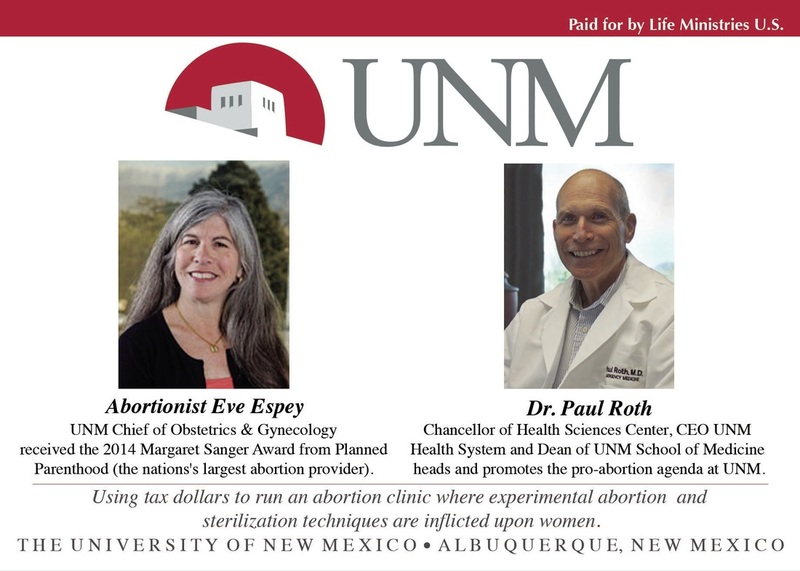 March 24, 2016 – Protest ABQ Drops Post cards exposing UNM and their complicity with SWO and the baby body parts scandal exposed by the U.S. House investigation.